The Open Studios of the Scenic Rim weekends are held annually throughout May and in 2018 until the first weekend in June, allowing visitors to see artists at work in their studios. Studios are open from 10am to 4pm on the days indicated. Appointments can be made outside these times directly with the artist. Most of the work on display in the studios is for sale, and the majority of artists are able to undertake commissions. Many are available for workshops and artists’ residencies. Open Studios are situated across the Scenic Rim including Canungra, Beechmont, Boonah, Mt Alford, Harrisville, Tamborine Mountain and Beaudesert. 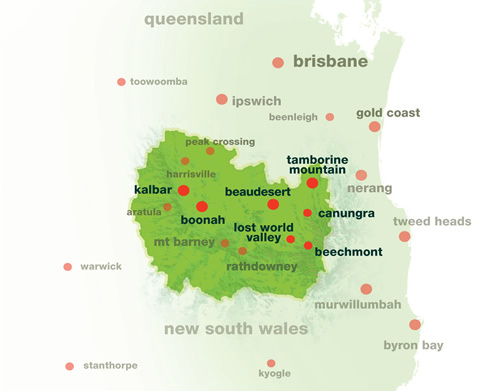 Map of SCENIC RIM. Click on an area to the right of the map to view the 2017 Studios in that area.